2017 flung the door wide open for the People’s Republic of China’s (PRC) President Xi Jinping to make massive strides in 2018 as a global leader, as well as a leader of revered significance within the PRC by the Communist Party of China (CPC). The bleak reality is that after President Donald Trump’s inauguration, with each new global crisis the world stopped looking to Washington as the leader of the Western World for guidance. Even sadder is that one is as likely to get the Trump administration’s position off of Twitter or from Saturday Night Live or the Stephen Colbert Show, as it is from the Secretary of State, the Washington Post or the New York Times. Globally Mr. Xi’s views are now coveted before anyone can decipher the Trump administration’s position. The next question was always “What does the European Union, especially Germany, Great Britain and France say?” But the European Union has lost much of its cohesiveness with Brexit, Chancellor Angela Merkel’s inability to form a post-election coalition government, and the new ideas espoused by the fledgling French President Emmanuel Macron. This, coupled with the continuing rise of nationalism, fueled primarily by anti-refugee sentiments, such as in Hungary, by Poland’s changes to its Supreme Court, which are European Union violations, may cost Poland its EU voting rights, and the installation of the far right at the highest level of the Austrian government has created chaos. This chaos has further propelled Mr. Xi to a leader of global significance. Mr. Xi’s phoenix-like rise has propelled him to being honored by the CPC at its October 24, 2017 closing ceremony. The CPC announced that Mr. XI’s Thought on Socialism with Chinese Characteristics for a New Era had resulted in a CPC resolution being added to its Charter, the functional equivalent of the PRC’s constitution. The resolution, in part, reads that “…Xi Jinping Thought … shall constitute [one of] the guides to action of the party in the party constitution… The Thought is a continuation and development of Marxism-Leninism, Mao Zedong Thought, Deng Xiaoping Theory, the Theory of Three Represents, and the Scientific Outlook on Development.” The only other Chinese leader to be so commemorated was PRC founder Chairman Mao Zedong. 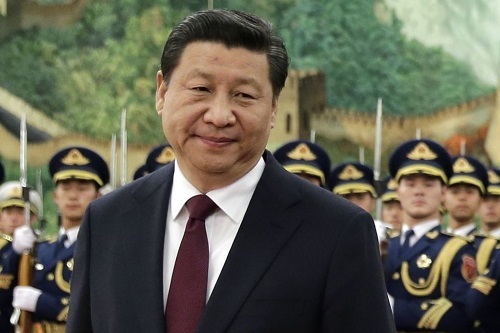 “It means Xi is effectively unassailable … If you challenge Xi, you are challenging the party – and you never want to be against the party,” opined Sinocism publisher Bill Bishop. Mr. Xi differs from Mr. Zedong on the issue of expansion. Whereas Maoist theory opposed expansion beyond China’s established borders, Mr. Xi’s aspirations are expansionist. The People’s Liberation Army (PLA) is the world’s largest military force, with approximately 2,285,000, personnel, not broken down between active military and support personnel, with an estimated annual budget of nearly $180 billion. The United States has 1,429,995 active military troops and 681,122 civilian support personnel, with a budget of $597 billion. The difference in reported military personnel between the two countries is a slight 173,883. Both sets of numbers are hard to compare as it is unclear if China is counting troops and support personnel, and based on the fact the wages and benefits in the United States are always significantly higher than those paid in China. In 2016, the armed forces of the Chinese Communist Party (CCP) began implementing the sweeping organizational reforms that President Xi Jinping and other Chinese leaders unveiled in 2015. 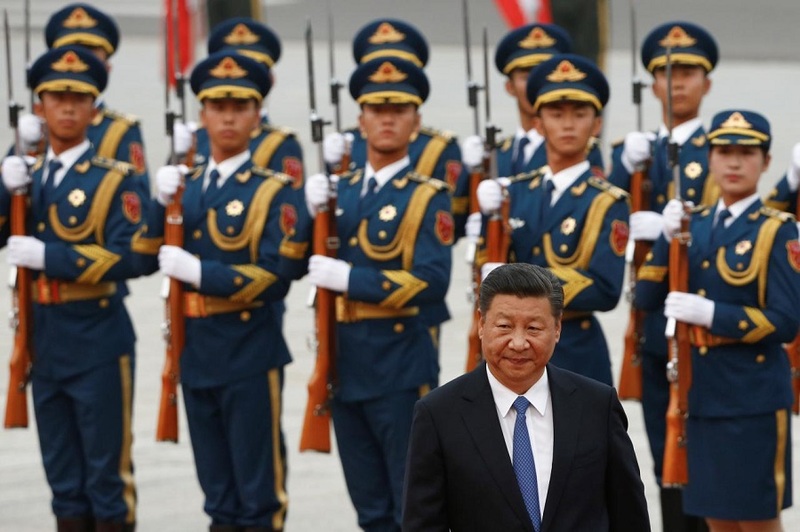 This reorganization is the latest phase in China’s long-term military modernization program, which China’s leaders have characterized as essential to achieving great power status and what President Xi calls the “China Dream” of national rejuvenation. 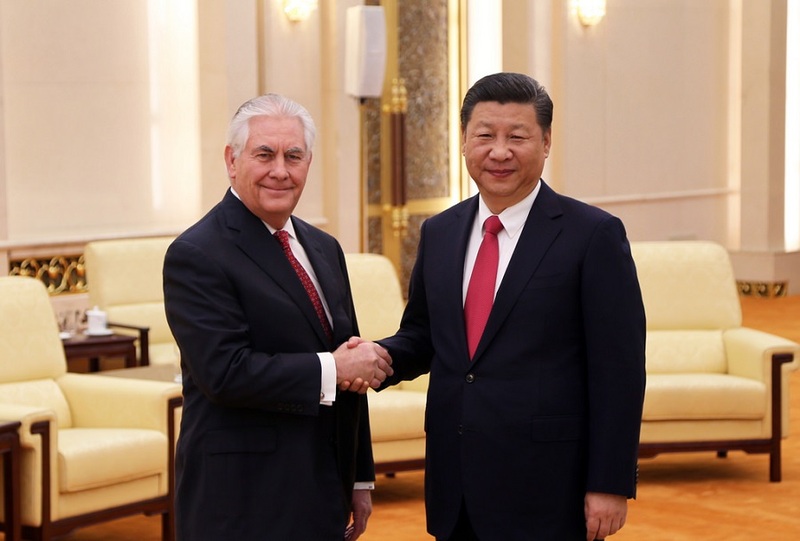 The leadership portrays a strong military as critical to advancing China’s interests, preventing other countries from taking steps that would damage those interests, and ensuring that China can defend itself and its sovereignty claims. In a Maoist move, to solidify his control, Mr. Xi is purging the PLA of corruption. Since first coming to power in 2012, Mr. Xi has eliminated more than 100 high-level military officers, and the PLA has investigated 4,000 cases, resulting in disciplinary action against 13,000 officers. On November 28, 2017 General Zhang Yang, a top Chinese military general charged with military corruption who was being held under house arrest committed suicide. The suicide was widely reported by state media sending the message that the days of rampant Maoist suicides were not beyond Mr. Xi’s quest for unfettered power. The best known example of Chinese military aggression and expansion is in the South China Sea where it has built up and militarized artificial islands in shoals and coral reefs increasing its Exclusive Economic Zones (EEZ), which encroach upon the EEZs of other countries in violation of UNCLOS, the governing treaty. At first, neighboring countries objected but those objections quickly faded, with the Philippines having gone so far as to successfully litigate the matter in the Permanent Court of Arbitration. Now, the Philippines and the other countries involved have turned a blind eye to China’s illegal activity. As for North Korea, China has repeatedly contended that if Kim Jong-un’s regime was collapsed that millions of North Koreans would attempt to cross into China along its 880 mile contiguous border. Based on this articulated reason, in April 2017 Chinese state-run media reported that 150,000 troops have been deployed to the North Korean border. Other steps include building civilian bunkers in the event of a nuclear or chemical attack and 24-hour aerial drone surveillance. At the same time there have been unconfirmed reports of trainloads of heavy military equipment and TOR-M2 surface to air missile systems headed for the border. The argument can be made that China, based on North Korea’s vast natural resources, might look to assert territory control over North Korea if the regime collapsed. According to the DoD report, China has added its first military base outside of China. China’s Djibouti base in Somalia, “…along with regular naval vessel visits to foreign ports, both reflects and amplifies China’s growing influence, extending the reach of its armed forces.” In November China publicized its Djibouti military exercises. The DoD report predicts that, “China most likely will seek to establish additional military bases in countries with which it has a longstanding friendly relationship and similar strategic interests, such as Pakistan [Burma and Sri Lanka], and in which there is a precedent for hosting foreign militaries.” Other possible areas designed to protect China’s trade interests include the African east coast, along the Indian Ocean and Arabian Sea. In 1957 Mao launched the Great Leap Forward rapidly transforming China’s internal economy from an agrarian economy to an industrial one, involving massive infrastructure projects. Mr. Xi is taking his own Great Leap Forward but his policies are externally focused. Mr. Xi’s rise to power occurred after a series of concerted global financial investments, banking inroads, large scale multi-country projects, and increased militarization. Under Mr. Xi’s leadership China has been playing a decisive role in global markets through resource allocation and supply-side structural reforms. In other words, China’s foreign policy is expansionist and based on the widespread use of soft power. The first major project was the July 17, 2014 New Development Bank or The BRICS. Formed by China, the Russian Federation, South Africa, Brazil and India, The BRICS represents 40% of the world’s population. Its stated intention was to make funding for sustainable infrastructure available to countries who have been denied funding by Western sources, including the International Monetary Fund (IMF) and the World Bank (WB). Chinese and Russian government officials openly stated that The BRICS would issue a new currency to devalue the dollar and the Euro, permanently crippling the IMF and WB. This was followed by the October 2014 launch of the Asian Infrastructure Investment Bank (AIIB). The AIIB is an international financial institution originally conceptualized by the Chinese government in 2013. The AIIB’s objective is to finance road, rail, port, and other infrastructure construction projects. 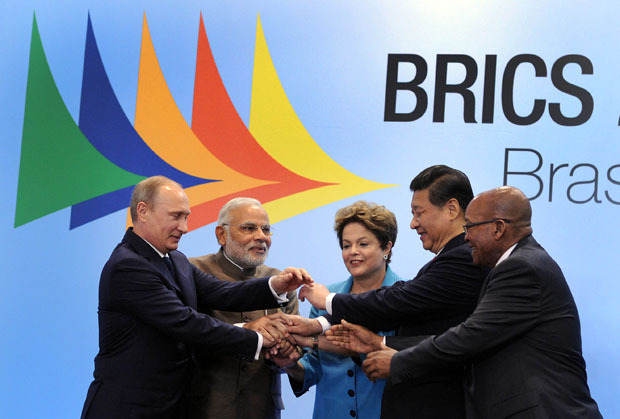 If “The BRICS served notice that they are now an economic alliance that poses a challenge to the global status quo” with “decidedly nationalist goals of enhancing their own clout vis-a-vis the traditional centers of global economic, political, and military power”, then the notice the AIIB served the global community was that of an apocalyptic threat to overall global stability and security. While the United States refrained from becoming an AIIB member, the AIIB was joined by a majority of its allies, including the other 27 NATO member nations, Australia and South Korea. Presently, the AIIB has 58 member nations and 22 prospective members. China’s Belt and Road Initiative and the Maritime Silk Road project are massive infrastructure plans to connect China to its Asian neighbors and farther afield to Europe. It is premised upon a hub-and-spoke model: China, the hub, builds infrastructure in countries around the world, the spokes, in order to facilitate trade. China is building and financing roads, bridges, seaports, and airports in more than 60 countries to facilitate the import of raw material in order to further fuel its own economic growth while it searches for new markets. The problem is that China is financially overextended. According to the IMF, “China continues to enjoy strong growth—projected at 6.7 percent for 2017. And the country has potential to sustain strong growth over the medium term. But to do so safely requires speeding up reforms to make growth less reliant on debt and investment,” the IMF said in its latest annual assessment of the economy. China’s debt levels have seen a fivefold increase over the past decade to $29 trillion today, the equivalent to 260 per cent of its gross domestic product. Despite focusing on reducing corporate leverage, during the 3rd quarter China’s asset to liability ratio has remained stable at 55.7 percent. The debt pile at Chinese corporations continues climbing, with 3rd quarter levels accelerating at the fastest pace in four years. Some Chinese factories are paying workers to stay home. Maoist anti-imperialism can be partially defined by its non-interventionist foreign policy. Faced with radically different geopolitics, Mr. Xi has taken a different path. By increasingly Chinese involvement in external world events, Mr. XI has further secured his position as a global leader. In early November 2017 Mr. Xi informed Saudi Arabia’s King Salman, at a time of regional tensions between Saudi Arabia, Iran, Lebanon and Yemen, that China supports Saudi Arabia’s efforts to safeguard national sovereignty and achieve greater development. At the November 17, 2017 APEC summit Japanese Prime Minister Shinzo Abe and Mr. Xi Jinping declared that the two nations will embark upon a “fresh start” to their often troubled relationship. China has even offered to share military information with Japan. To help finance its expansionist plan China exploits the resources of weaker and poorer countries. For instance, there were unconfirmed reports that China supported the removal of Zimbabwe President Robert Mugabe. If true, this may provide China the ability to purchase at a discounted rate rare minerals, including platinum, and oil from Zimbabwe, which is economically distressed. A major tenet of Mao’s Marxism–Leninism–Maoism was the homogeny of Chinese society. The CPC Congress included the culture of socialism with Chinese characteristics into the CPC charter, along with the path, theory and system of socialism with Chinese characteristics. The CPC said the contradiction facing Chinese society is “between unbalanced and inadequate development and the people’s ever-growing needs for a better life”. We have already witnessed this in many of Mr. Xi’s directives. China has engaged in genocide and ethnic cleansing of Muslims in the western Xinjiang Uygur Autonomous Region. Following a May 22, 2014 massacre in the region, which the Chinese called a ‘war on terrorism’, Mr. Xi urged all ethnic groups in Xinjiang to “show mutual understanding, respect, tolerance and appreciation among themselves, and learn and help each other,” so that they could be united together “like seeds of a pomegranate”. Mr. Xi stated that the more separatists attempt to sabotage our ethnic unity, the more we should try to reinforce it,” adding that “unity is the “lifeline” for people of all ethnic backgrounds”. 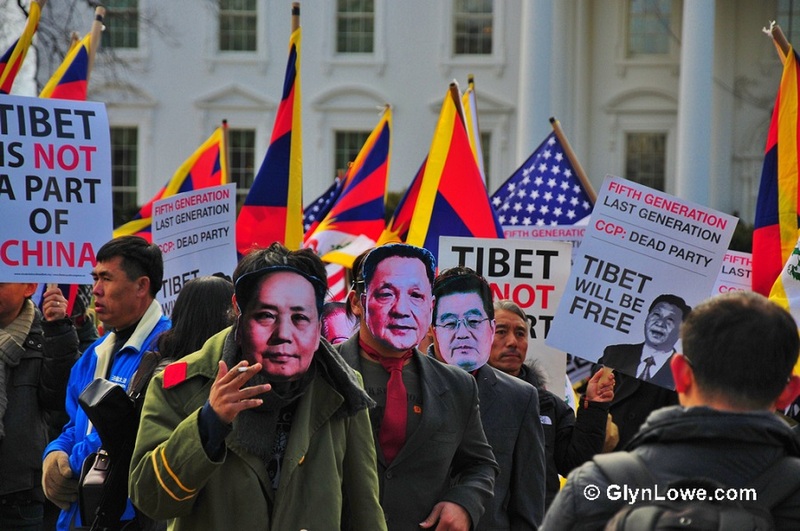 For decades, the Chinese have engaged in the persecution, prosecution, genocide and ethnic cleansing of the indigenous Tibetan population resulting in the deaths of over one million Tibetans. The Chinese government has also relocated Han Chinese to Tibet to model state-sanctioned values. The only mediating factor is that the outside world offers China significant tourist dollars from international visitors to Tibet. This may sound benign, but there is an edge to the message. Stability and vigilance against any inkling of separatism are mantras of Beijing’s one-party authoritarian state. Religion — particularly the Buddhism of Tibetans and the Islam of Uighurs in the neighboring restive region of Xinjiang — have long posed an implicit threat to Communist party ideology. China has also been unrelenting in refusing to allow even the slightest of democratic processes, such as those requested by protestors in Hong Kong, freedom of the press, of religion, and the right to peacefully assemble. China is the only permanent member of the United Nations Security Council that has, year after year, failed to report its child labor statistics. Child labor is considered slavery under the United Nations 2030 Sustainable Development Goals. It has failed to alleviate the poverty and educational deficits in outlying regions. The situation is so bad that Chinese from outlying regions who have relocated to Western countries have expressed to this writer that they have no desire to visit their former villages. The world has also turned a blind eye to China’s rampant human rights abuses because there is no such thing as a free lunch. Canada, now renegotiating NAFTA with the United States, is even less likely to have the same success in China as his counterpart Mr. Macron. According to Eurasia Group President Ian Bremmer, “Justin Trudeau has been exceptional on the global stage in talking about human rights, in talking about diversity, in talking about, sort of, whether it’s gay rights, or women’s rights or all the rest.” He concluded that Mr. Trudeau’s outspokenness would not pave the path to Beijing. Culpability for Mr. Xi’s dominance on the global stage lies with both the Trump administration and the European Union. Both the United States and the European Union are in a state of disarray. When either imposes economic sanctions it pushes another country to China’s doorstop. When the United States cuts back on U.S. Aid, pulls out of peacekeeping missions, or withdraws troops, it also sends the affected countries to seek an alliance with China. As there is no indicia of Western change one can only conclude that Mr. Xi will continue his phoenix-like rise as global superpower leader. Bello, Walden, “Can the BRICS wrest control of the global economy from the United States and Europe, or will their internal contradictions tear them apart?” August 29, 2014, Foreign Policy in Focus. “China’s Economic Outlook in Six Charts,” August 15, 2017, International Monetary Fund. Lardner, Cynthia “Geopolitical Meltdown”, Game of Thrones Meets House of Cards, April 9, 2015. 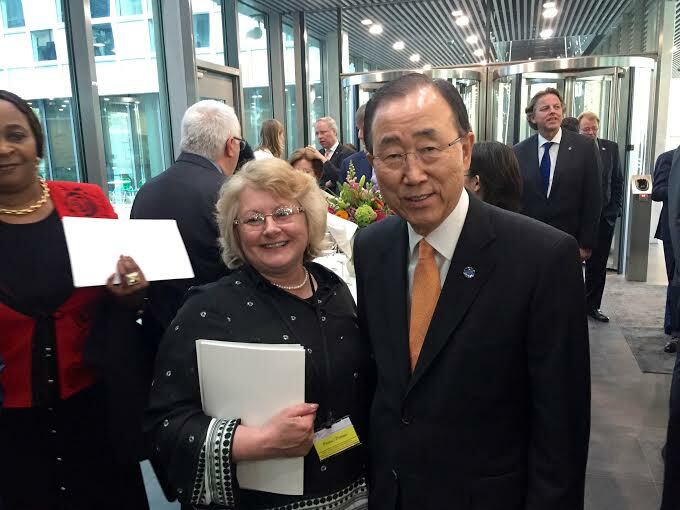 Lardner, Cynthia, “Justice, Security and Rule of Law: How the United Nations Security Council Has Failed You”, July 15, 2016, as found on the www at http://tuckmagazine.com/2016/07/19/justice-security-rule-law-united-nations-security-council-failed-you/; https://lnkd.in/eYXdrCe; http://justicesecurityandruleoflaw.blogspot.com/2016/07/by-cynthia-m.html; and https://cynthiamlardner.wordpress.com/2016/07/15/justice-security-and-rule-of-law-how-the-united-nations-security-council-has-failed-you/. “Military and Security Developments Involving the People’s Republic of China 2017.” Annual Report to Congress, May 15, 2017, United States Department of Defense. Tharoor, Ishaan, “Top Chinese official in Tibet wants Buddhist temples to spread propaganda”, April 3, 2014, The Washington Post. “World Report 2015, China: HRW”, 2015 Human Rights Watch.